Goal setting…even if you're not sure how to measure the results. A little over a year ago I set a goal for myself to blog every day for one year. That was a measurable goal. I also set the goal of having the #1 Horse Blog on the internet. Here is the interesting thing. But I’m not a stranger to setting goals that are difficult to measure. 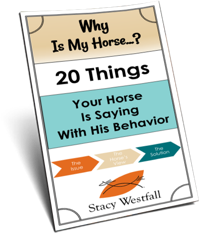 Sure, I can set out to ride my horse five days a week, that is a very measurable goal but often I want more. I want to have a good ‘relationship’ with my horse. How do I measure that? Should I give him a survey at the end of the year? If we have one bad day does it erase three good ones? In the end I have to accept that some goals are easier to measure than others. This week I was surprised, and thrilled, to see the photo below pop up on my Facebook page. 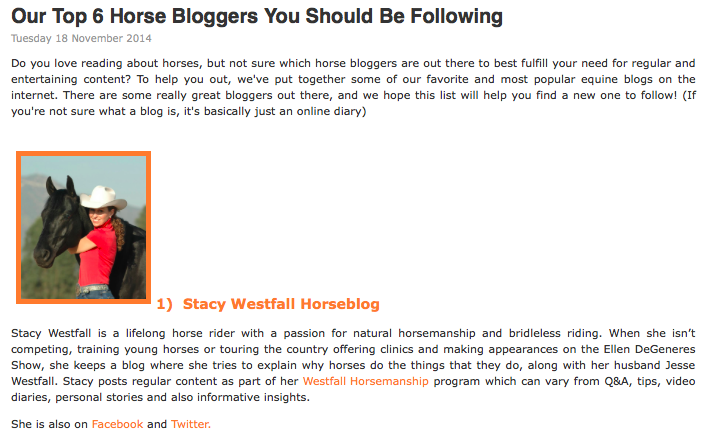 I know that HorseClicks isn’t trying to say that I’m the #1 Horse Blogger out there…but the post was still exciting for me to see. Maybe I did reach that goal. Maybe I didn’t. Maybe I will never know. But I’m still glad I set it because it helped point me in the direction I wanted to go. Setting goals doesn’t always require knowing the end result. 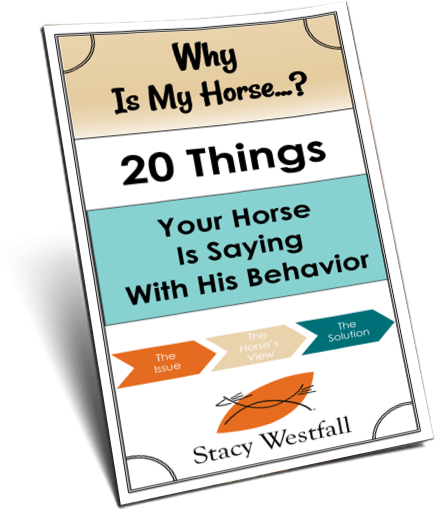 ← Jac Review: My horse walks circles around me while I am saddling, what should I do? I’ll measure it for you. You are doing great, seriously! Time is the most valuable thing I have, and I am quite willing to spend it reading your blog, and watching your videos. Highly informative, and very entertaining!! Congrats! I love all the blogs mentioned in that list! That’s awesome congrats! Love the blogs mentioned in that list. You are number one in my book. You inform and entertain. I look forward to reading your blog daily. I’ll second that. I think your the number one horse blogger. I do not know if that counts but for me you are the #1 Horse Blog 😉 Thank you for all that you do !